Home > SHARE - IPO > NSE: Help MSMEs over IPO..! The National Stock Exchange (NSE) would extend all possible support to bring MSMEs to initial public offering (IPO) platform to tap the market, a top official has said. As the eco-system in the city was very conducive, NSE was keen to bring the MSMEs here on IPO platform, NSE National Head, Ms. Rachna Busari said at a symposium held at Coimbatore. Many companies from this region are suitable candidates to raise funds using NSE SME platform and listing enables the companies to unlock its value and bring market capitalisation, she said. In addition, the bank interest rates would be lower for those units that are listed in NSE, she pointed out. About 165 companies have listed in NSE SME platform and past year saw an exponential growth in listing, Ms. Busari noted. 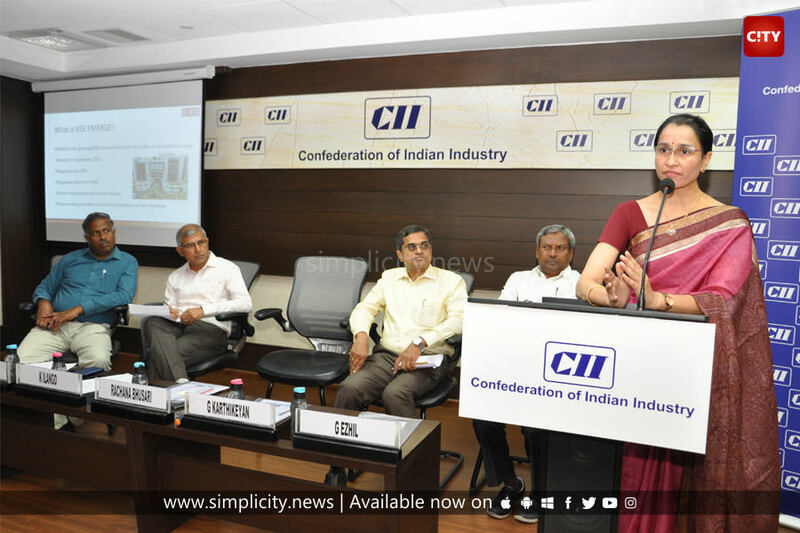 The symposium was held on Sunday last, organised jointly by CII, TiE (The indus Entrepreneurs) and Indian Institute of Foundrymen in order to disseminate knowledge on SMEs going for listing on stock exchanges, a Tie release said. TiE President, Mr. G Karthikeyan observed that Coimbatore was a self-made industrial city and many of the SMEs from the region were eligible to be listed on BSE and NSE, given its background. The idea and intent of such seminars was to dispel misconceptions and build awareness amongst SMEs on IPO options available, he said.